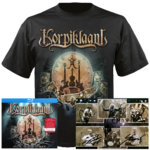 The pendant comes with a card with a picture of the Korpiklaani band. 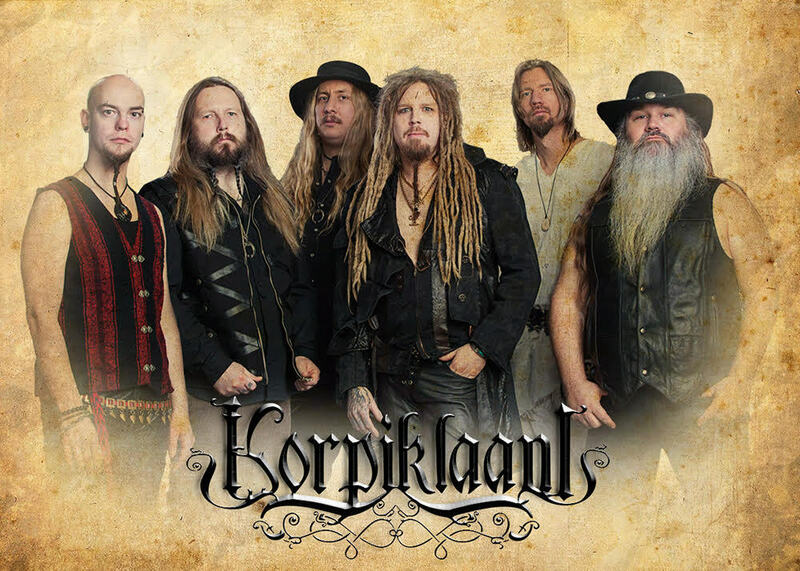 On the other side there is a picture of the necklace and Korpiklaani saga. 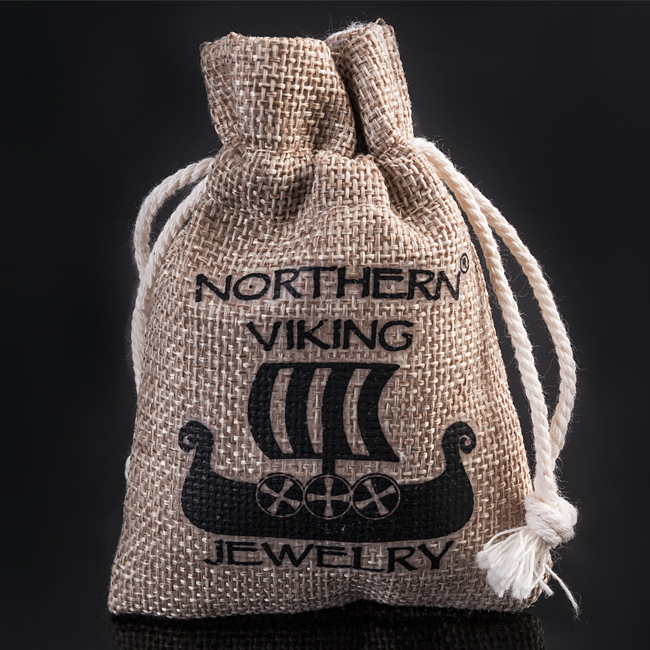 Pendant comes with a little unique Northern Viking Jewelry jutesack. Wilderness and woodlands have always been a strange and frightening place for travellers and those who live near them. 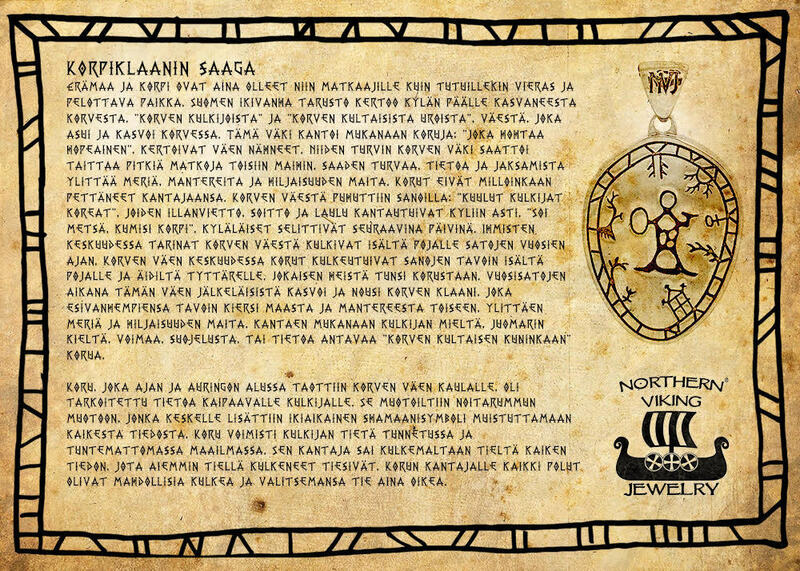 Ancient Finnish mythology tells about woods that have grown on top of a village, ‘woodland wanderers’ and the ‘golden men of the woodlands’ – folks who grew up and lived there. These folks carried jewellery with them “that gleams in silver”, said those who had seen them. 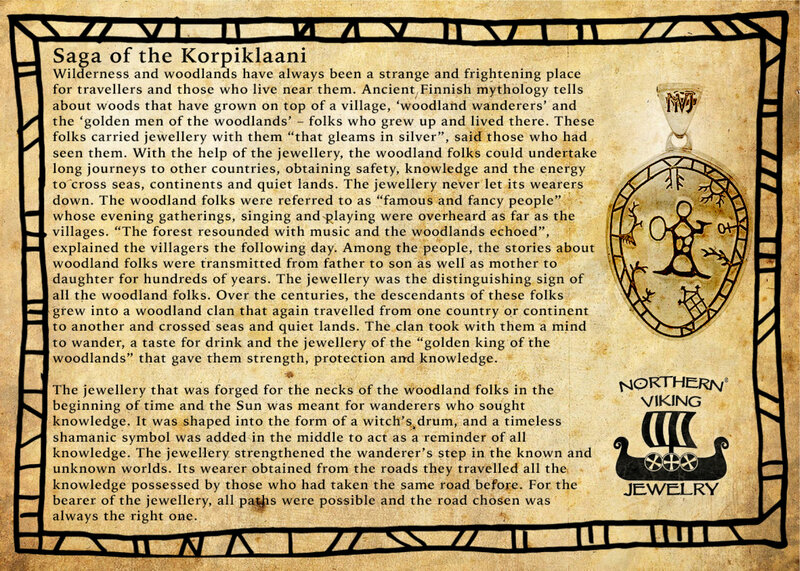 With the help of the jewellery, the woodland folks could undertake long journeys to other countries, obtaining safety, knowledge and the energy to cross seas, continents and quiet lands. The jewellery never let its wearers down. The woodland folks were referred to as “famous and fancy people” whose evening gatherings, singing and playing were overheard as far as the villages. “The forest resounded with music and the woodlands echoed”, explained the villagers the following day. Among the people, the stories about woodland folks were transmitted from father to son as well as mother to daughter for hundreds of years. The jewellery was the distinguishing sign of all the woodland folks. Over the centuries, the descendants of these folks grew into a woodland clan that again travelled from one country or continent to another and crossed seas and quiet lands. The clan took with them a mind to wander, a taste for drink and the jewellery of the “golden king of the woodlands” that gave them strength, protection and knowledge. 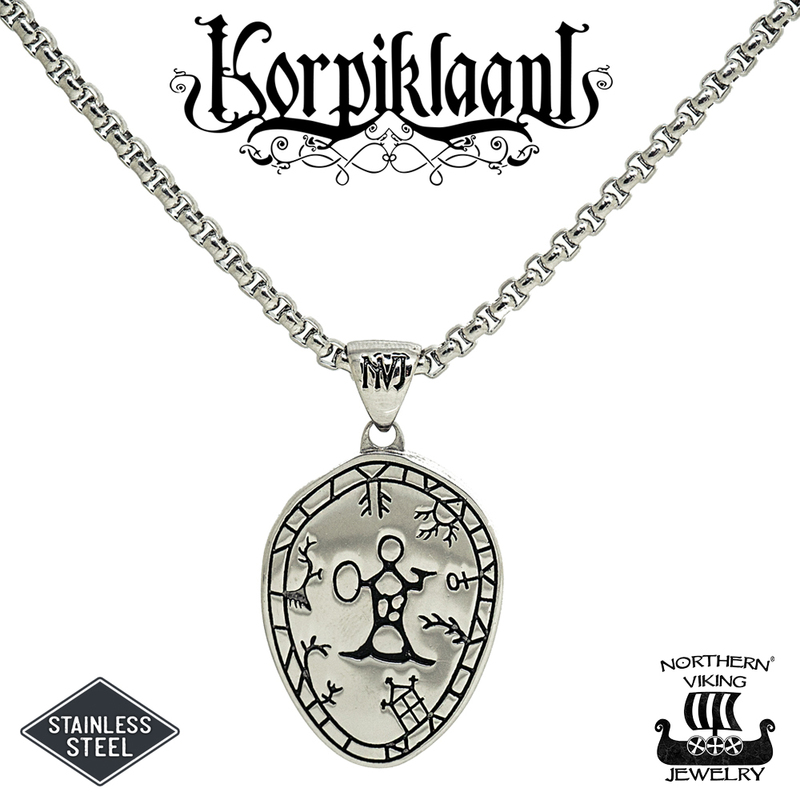 The jewellery that was forged for the necks of the woodland folks in the beginning of time and the Sun was meant for wanderers who sought knowledge. It was shaped into the form of a witch’s drum, and a timeless shamanic symbol was added in the middle to act as a reminder of all knowledge. 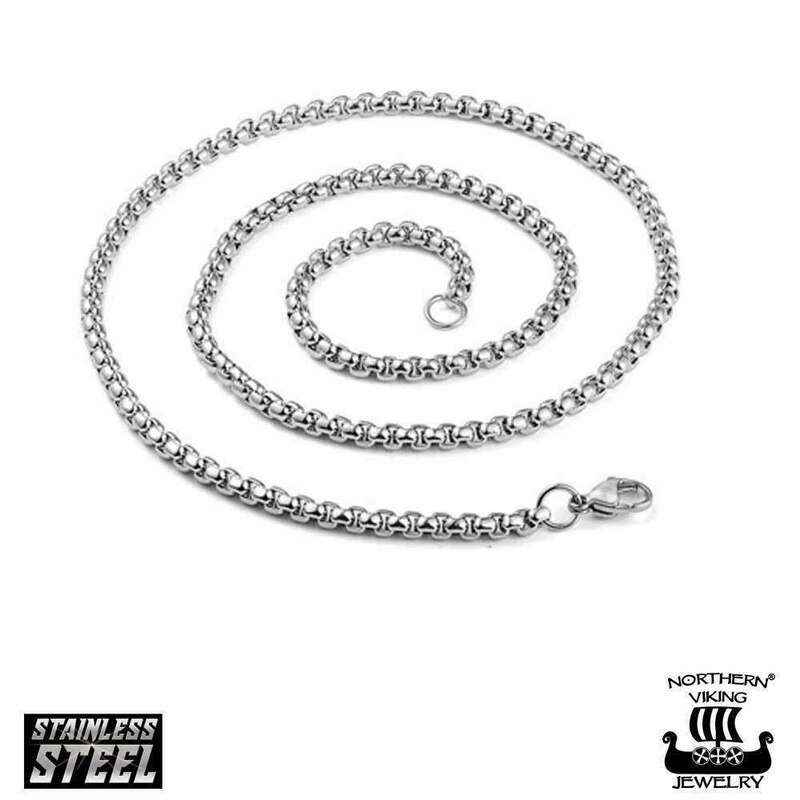 The jewellery strengthened the wanderer’s step in the known and unknown worlds. Its wearer obtained from the roads they travelled all the knowledge possessed by those who had taken the same road before. For the bearer of the jewellery, all paths were possible and the road chosen was always the right one.